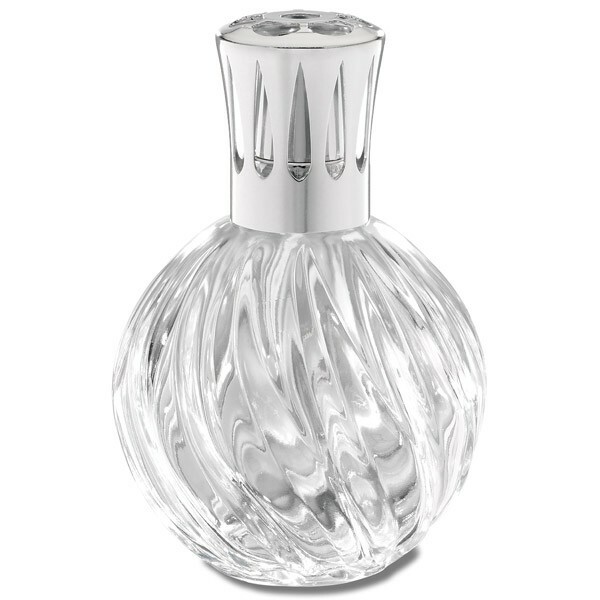 A clear glass lamp with a finely worked relief, full of elegance and femininity. Lamp sold in a box with 1 catalytic burner, 1 funnel and 1 stopper. Now £30.40 Qty: 1 In-stock.